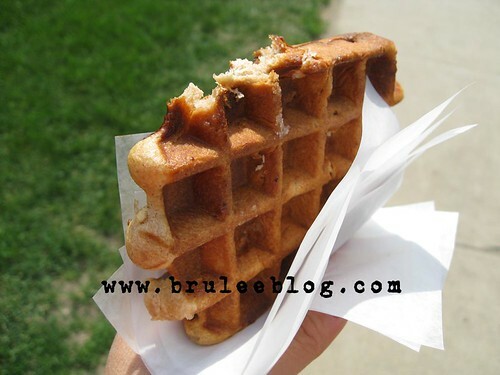 It is typical to have chunks of sugar still sitting in the waffle, this makes a true Liège waffle! We wish them both great success! Thank you for the info. I kind of figured that was the case! 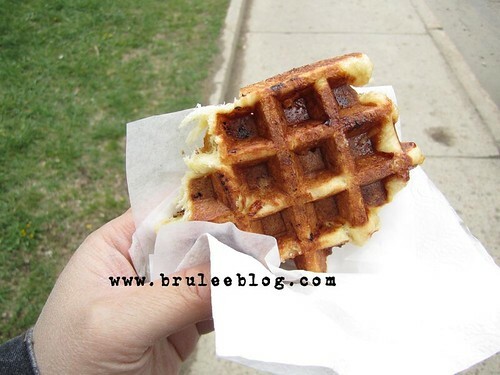 Each waffle is like a work of art and each waffler an artist:) There will be many interpretations. Best of luck in your business as well! I just looked at my photos again and now I’m having a craving for one of your waffles. Those waffles look awesome. 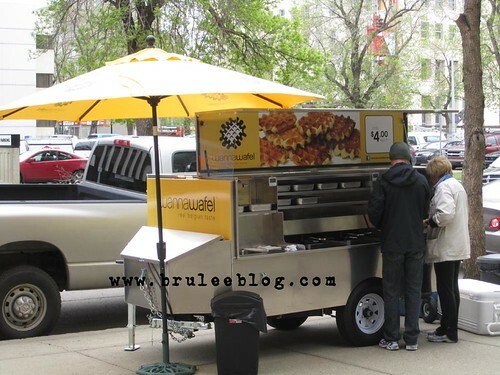 Do you know if there is anything like that in Calgary ? 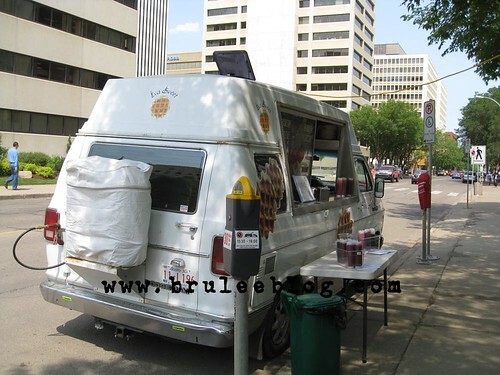 I think there’s a Wannawafel that opened in Calgary too! But I need maple syrop and whipped cream on mine, which may make it messy to eat in the street? That’s right. I read an article that said something about them not going through with the deal though, because they weren’t ready to expand that season.